Michelle Kosinski is an award-winning American journalist; currently associated with the CNN as their senior diplomatic correspondent for the State Department in Washington D.C. She served as CNN White House Correspondent during President Barack Obama’s Administration. Prior to her CNN career, the amazing journalist has worked with other popular news agencies including NBC News, WTVJ-NBC, and WIFR-CBS, among others. Learn more about Michelle’s biography, husband, net worth and other facts below. Michelle Kosinski was born in Willingboro, New Jersey on May 6, 1974, to Robert J. Kosinski and his wife Jeanette N. Kosinski. Her father worked as a biologist at the New Jersey Department of Environmental Protection while her mother is a chemist. She holds an American nationality and belongs to polish ethnic origin. During her early years, Michelle completed her basic education at St Charles Borromeo Elementary School and Holy Cross High School. Upon graduation, Michelle went to Northwestern University where she acquired her bachelor’s and master’s degree in journalism from the Medill School of Journalism. Prior to her graduation, Michelle began her journalism career with WIFR-CBS Network and after her graduation; she left the network and moved to Charlotte, North Carolina where she joined WSOC-TV. While she was there, she founded the Piedmont Bureau and for her excellent performances; she was voted Best Reporter in Charlotte in 2001. In the last quarter of 2001, Michelle left WSOC-TV and joined the Miami-based network called WTVJ. There she carried out a series of investigative reporting including that of the Haitian immigrants for which she won the Suncoast Regional Emmy Awards Craft in 2003. She was equally voted Woman of the Year by Women in Communications of South Florida in 2005. 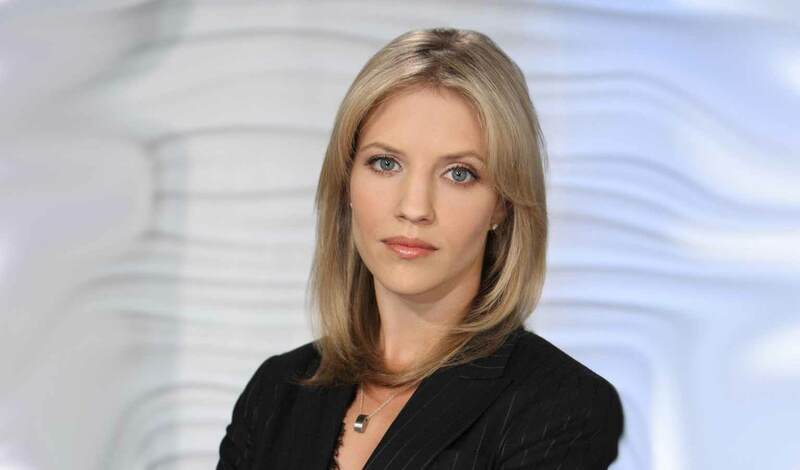 Michelle Kosinski continued to record strides in journalism and in 2005; she was recruited by NBC News Network. She served as both the US as well as a London-based foreign correspondent; reporting for both NBC’s Night Show with Brian Williams and The Today Show on MSNBC and CNBC. Kosinski brought live coverage of various breaking news including the Military handover in Afghanistan, Haitian earthquake, and Arab spring, among others. She also covered the 2008 United States Presidential Election for which she won an Emmy in 2009. Michelle was made NBC’s Southeast Bureau to London in 2010 and after four years, she left the network and joined CNN. Joining CNN in 2014, Michelle Kosinski was made White House Correspondent during President Obama’s Administration. Since then, she has been a regular contributor on various CNN programs to date. She is currently working as the senior diplomatic correspondent bringing live coverage of all the affairs of the State Department. Michelle Kosinski has been totally amazing since the inception of her journalism career and her unparallel work ethic has contributed to her numerous successes. Without a doubt, the amazing reporter is currently living a lavish lifestyle and her net worth is said to be running in millions. She receives a decent amount as salary; however, her salary earnings cannot be ascertained at the moment while her net worth is penned at $10 million. Michelle procured a 12,000 square foot mansion in Coral Gables, Florida for a whopping $5.6 million in 2009. Married: Who is Her Husband? Just like her successful journalism career, the charming journalist is also successful in her love life. She is married to a retired American Investment Banker named Kimbell Rush Duncan. Duncan was born and raised in the United States; he worked as the managing director of the London-based investment banking subsidiary of Tokyo’s Mizuho until his retirement in 2004. He came from a wealthy family and he is the founder of the charity based organization called the Rush Foundation. The amazing couple met themselves in London while Michelle was working in London for NBC. After a few years of successful relationship; the duo announced their engagement in August 2013. The following year, they walked down the aisle on August 9, 2014. Duncan who is a widower had a set of twins from his previous marriage. After their marriage, Michelle became a mother to Duncan’s set of twins named Sophia and Nikita. However, the couple doesn’t have kids yet; nevertheless, they might have plans of having them in the future. They are currently having a wonderful married life and they currently reside in Washington, United States.